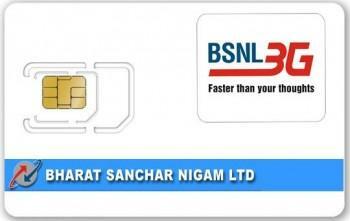 State run Pan-India mobile service provider, Bharat Sanchar Nigam Limited (BSNL) has waived of SIM replacement charges for its prepaid 2G and 3G customers with compulsory top-up conditions. According to our exclusive sources, from 15th October, 2013, BSNL will not charge any amount for SIM replacement (defective or lost SIM) with condition of compulsory top-up of prepaid account with Rs.100 for 2G and Rs.140 for 3G (U-SIM), customer will get free talk-time with both top-ups. Earlier for replacement of a defective or lost 2G normal SIM, BSNL customer need to spend Rs.100 and for a 3G USIM 128KB need to pay Rs.140 without any talk-time or freebies. Gajanan : even I have experienced the same.